As his high school students, perhaps we did not realize we were in the presence of greatness. You should be hearing Harry Opel and his Minnehaha Academy Singers. If you would like to have a CD of the Minnehaha Academy Singers recorded in concert at First Covenant Church of Minneapolis on Sunday evening, April 17, 1977, made from the original cassette tape, send us an e-mail. 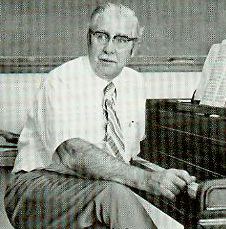 For more information on Harry P. Opel and his influence on the arrangement of the anthem THY HOLY WINGS click here.